When I think back to the very first time I breastfed my baby, the first thing I remember is just how uncomfortable it was! No one thought to mention just how much time you spend sitting in one spot and in those early days that was in plastic hospital chairs. Even once we'd come home, I remember trying the rocking chair, the couch, sitting up in bed and ended up sending hubby out to find something like a U pillow which for us helped a bit, but still wasn't quite right. Besides the obvious (and important) one of your own comfort because regardless of whether you breastfeed or bottle feed you WILL be spending A LOT of time sitting, babe in arms, there's also some other very valid benefits to both yourself and your baby in investing in a good breastfeeding pillow. Because you can use the pillow to help adjust your baby's angle while they're feeding, this can really help to get the right latch and many people find feeding at an angle can help bub's digestion and sometimes reduce reflux. The right breastfeeding pillow will help you raise your baby to you so you'll be feeding from the right height which takes away any extra strain on your back, neck and shoulders. Nobody needs that kind of extra strain and pain at a time when you're already exhausted and healing! Your abdomen is a sensitive area after having a baby, especially if you've had a c-section and a breastfeeding pillow will help no end in placing a comfortable, protective barrier between that sensitive, painful area and your baby, especially if you have a wriggler!! The other thing I didn't realise until we switched to bottle feeding our baby was just how taxing this can be on a person's body too and in many ways it's not an easier or quicker option by any means! We had a particularly difficult bottle feeding journey because unbeknownst to us at the time our baby had a milk protein intolerance. So just trying to get even 50ml of milk into him at a time was a physical & exhausting struggle that would take FOREVER until we found the type of milk that agreed with him...6 months later! You can use a breastfeeding pillow for all the same benefits for you both with a bottle fed baby too. 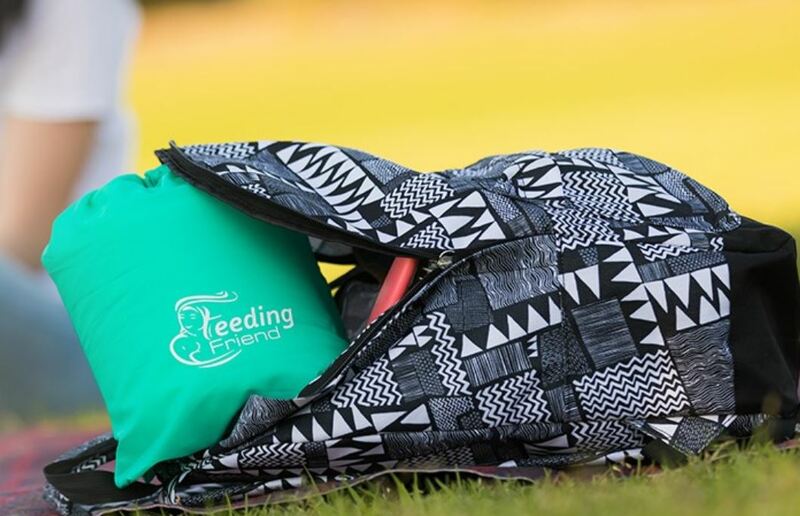 So, you can imagine my excitement recently, when I met the lovely Amanda from Feeding Friend who told me about her great feeding pillow invention. I immediately wished these had been around 9 years ago when I was so desperately uncomfortable and needing EXACTLY this!! 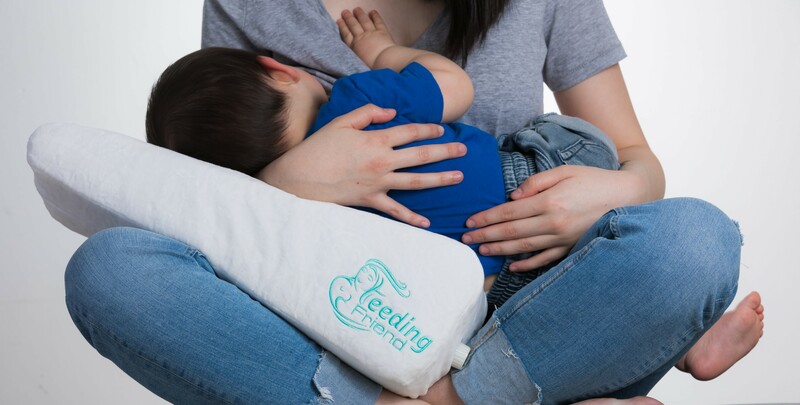 What I love too about the Feeding Friend pillow and it's DEFINITELY something I would have welcomed, is it's portability! This is a self-inflating pillow!! It can be deflated and popped into the neat little drawstring back it comes with and taken with you anywhere you go where it can then just as easily be inflated and used. Now I am a bit 'challenged' usually when it comes to anything claiming to be 'easily self inflatable and deflatable' and the forever inflated spare bed in my son's room can attest to this, but honestly this pillow was SOOO easy. You just turn the nozzle on the opening to open and quite literally watch it inflate before your eyes and deflating is simply turning the nozzle the other way and down it goes and you can pack it away again really quickly! 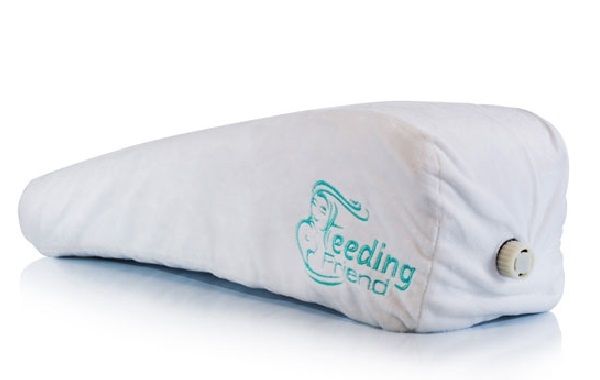 The other important factor to consider when looking for a breastfeeding pillow is washability - those things get things spilt on them, thrown up on them and they get such a lot of use that you want to be able to easily remove a cover and wash it regularly which you can do with the Feeding Friend. Photos also don't do the cover on this pillow justice - it is the most ahhhh-mazingly soft velour type fabric! In all honestly had I seen this product back when I was both breastfeeding AND then bottle feeding my baby I would have quite happily made the $59.95 investment in one right on the spot - it was costing me more than that for each chiro and physio visit I was having at the time to try and undo all the drama sitting uncomfortably with bad posture was causing. You'll find this great product online at at http://feedingfriend.com.au and delivery is super-fast too! 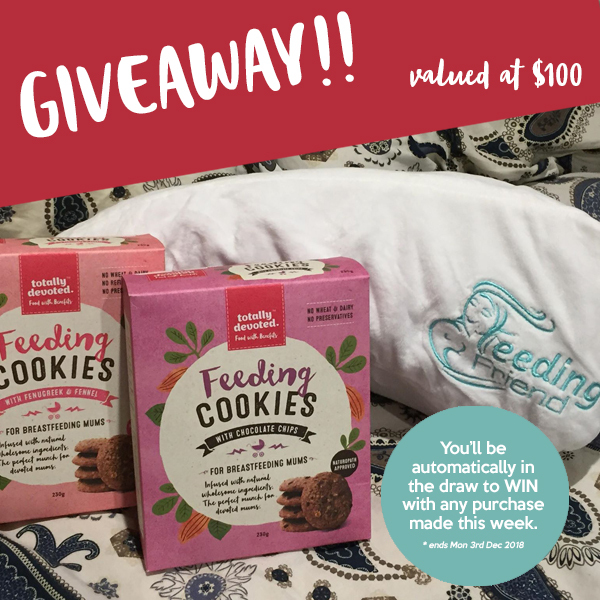 Amanda has also generous sent me one to offer to our customers as a giveaway - so this week only, if you purchase any of our range from www.yummymummyfood.com.au you'll automatically go in the draw to win this Feeding Cookies plus Feeding Friend bundle pack too! Hurry we'll draw our lucky winner next Monday 3rd December.